That plane hangs there as a daily reminder. I won’t forget where I used to be and where I am today. Just like God transformed the widow’s misery of poverty into a thriving business. Just like God moving the Israelites from slavery into freedom. And the lost coin that was found. I think we are that coin. Our family. Our tribe. Our clan. There is no other like ours. 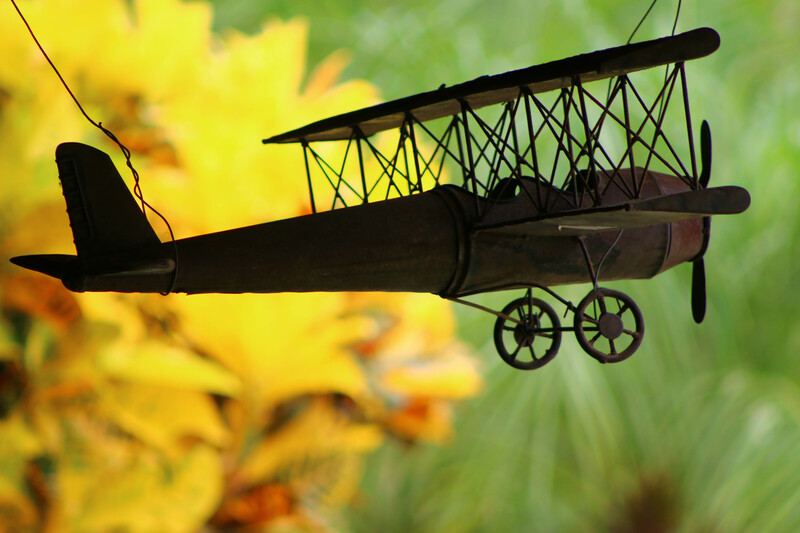 God has taken each of us to various places on His “airplane” of life. Different places, same love. Different dreams, same HOPE. And it all hangs on the same promise. The promise of our Heavenly Father’s love towards us. A love that will never go away. We rely on His promise. Our lives remain because His promise is true. Thus we become the symbol. The picture of His grace. The ultimate illustration of His love that transforms and makes good on His creation.